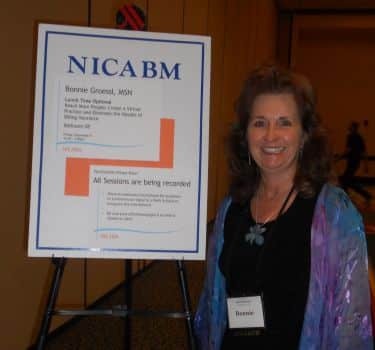 Bonnie Groessl, MSN, is a holistic nurse practitioner, best-selling author, international podcaster and success coach. She is recognized as an expert in helping people attain their goals by focusing on clarity, mindset and identifying the most effective ways to achieve desired outcomes. Bonnie works with holistic-minded individuals to become successful entrepreneurs by creating a comprehensive online presence that reaches people around the world. Clients discover how to share their message and build a business from their podcast and through publishing opportunities. Bonnie and her husband, Mike, own and operate M&B Global Solutions Inc., a boutique publishing company that specializes in assisting people through the process of becoming a published author. 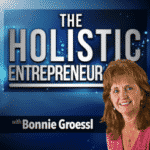 Bonnie Groessl, MSN, is a holistic nurse practitioner, success coach, best-selling author and successful podcaster. 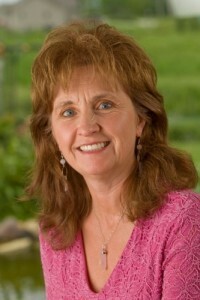 She has training in integrative medicine, hypnosis, mind-body techniques, energy work and is a certified Angel Card Reader. On the business side, Bonnie is a graduate of Brendon Burchard’s Experts Academy and has trained with numerous other experts in the online space. Bonnie’s success coaching assists holistic-minded individuals gain clarity, overcome limiting beliefs and reach more people with their gifts. Clients prosper while living in authenticity and alignment with what feeds their soul. Holistic-minded individuals become successful entrepreneurs and build their platform through publishing. Bonnie guides them through creating podcasts and books quickly with ease, joy and confidence. Clients discover how to share their message and create an online presence that reaches people around the world. Bonnie is active in public speaking, podcasting, webinars and programs for professionals and the public. Her books and guided meditation audios can be found on Amazon.com. She lives in Green Bay, Wisconsin (USA), with her husband, Mike Dauplaise, and together they own M&B Global Solutions Inc.
Bonnie Groessl, MSN, is a holistic nurse practitioner, best-selling author and success coach. She is recognized as an expert in helping people make changes to achieve their goals and enjoy their lives. Clients learn tools that bring together mind-body medicine, nutrition, energy medicine and spirituality to help them enjoy the lives they deserve. Bonnie is active in public speaking, podcasts, seminars and workshops. Bonnie’s success coaching practice centers on helping holistic-minded individuals share their gifts and become successful entrepreneurs. Her books and audios are available on Amazon. Bonnie offers classes and presentations for companies and groups. Formats include webinar, seminar, workshop or small group. Together, we will find the format that best fits your needs. Examples of some of my previous engagements are listed below. All presentations are custom made to fit the audience needs. Fees vary and are dependent on the program and organization. Contact Bonnie if you are interested in scheduling a speaking engagement or have questions.